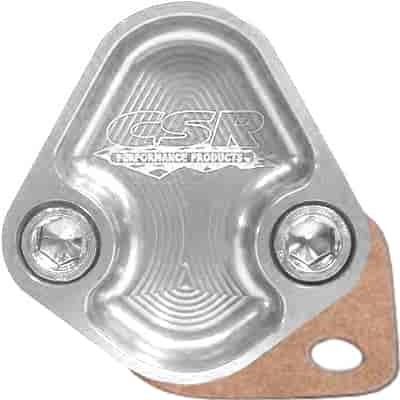 CSR's Fuel Pump Block Off Plates are to be used to block off the opening in the engine block whenever a mechanical fuel pump is not used. Made of 6061-T6 Billet Aircraft Aluminum and finished with a high luster anodized finish for long lasting beauty and corrosion protection. Each plate is shipped with stainless steel bolts and a gasket.